Housesteads is a Scheduled Monument owned by The National Trust, but the Fort and part of the Vicus are maintained by English Heritage under a guardianship agreement. English Heritage operate the Museum adjacent to the Fort, a steady climb up the hillside from the Visitor Centre below. 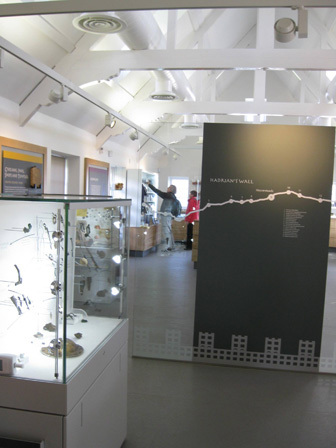 This project required the refurbishment and upgrading of the existing retail and exhibition space of the Museum, extending into the adjoining caretaker’s cottage, to provide flexible space for education and visiting groups. 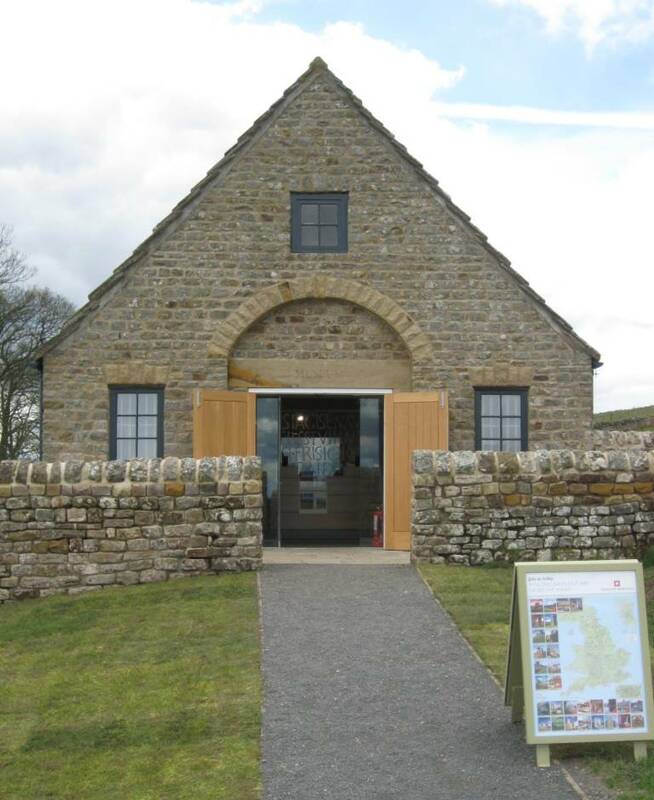 Work included improvement to the environmental performance of the building and upgrading artefact display and interpretation at this internationally important site. To improve accessibility, a new ramped pathway was created on approach to a reconfigured main entrance with a level threshold. The original design of this entrance elevation was reinstated, infilling two later narrow doors whose steps and width made access awkward, to create a large central opening. A new glass screen and door provided a more inviting welcome for visitors and enhanced visibility. Large oak doors were installed outside of this to provide security when closed and to reference the appearance of the original building, requested by English Heritage.